The country’s urban spaces are an onslaught of noise, lights, and people — and they’re affecting the way we act. Andrew Euan MacFarlane is a senior instructor at Capstone Prep Education, a private tutorial and consulting service for Asian students. My shared bike’s brakes had the merest of connections to its wheels; my fellow road users interpreted traffic laws loosely and carelessly. Getting onto the subway was easy enough — but securing a seat required superhuman levels of physical prowess, cunning, and diplomacy. Exiting onto one of Shanghai’s main streets, I was swept along by a torrent of pedestrians, finally washing up on the city’s iconic waterfront promenade, the Bund, with what seemed like every other selfie-snapping, wide-eyed tourist in what is, by some estimates, the largest city in the world. 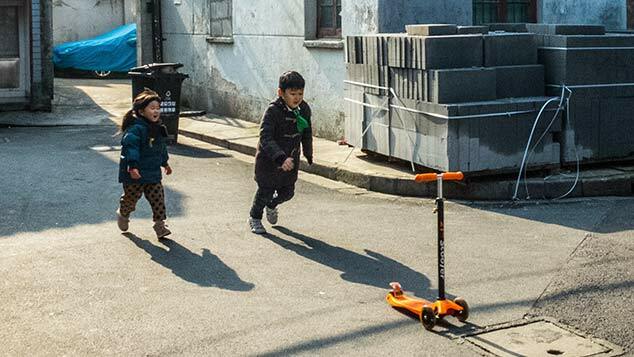 Living in Chinese megacities — as well as other vast, global urban areas — requires us to tailor our body’s coping mechanisms, particularly if we want to switch our minds off autopilot and exercise our mental faculties. Throughout our lives, we encounter the monotony of routine: As children, our lives are mostly planned by our parents; in adulthood, our bosses, colleagues, friends, and lovers start to exert control over our time and energy. But our environment, too, shapes our behavior and mental state — often in subtle but sustained ways that we do not consider. In his 1948 science-fiction novel “Walden Two,” the psychologist B.F. Skinner envisioned the social role of psychology as a means to predict human behavior in order to build societies that are free from chaos, free from food and labor shortages, and free from unnecessary suffering. Although “Walden Two” was fictional, it was shaped by Skinner’s years of laboratory research and experimentation. By systematically planning our environment, he argued, we might better control our own lives. Most of us do not have enough energy to focus on the constant stimuli of a fast-paced metropolitan lifestyle while also making slow, rational decisions. Skinner’s ideas fell out of fashion after the American scholar Noam Chomsky’s famously scathing 1959 assessment of his theories, but his work is enjoying something of a renaissance in contemporary social psychology. Research indicates that a wide array of environmental stimuli influences our behavior. Crowd noise affects the decision-making of sports referees; the wording on organ donation forms can dramatically alter how many people sign up; and eating with an overweight person can affect the quantity of food we choose to consume. Predicting exactly how people will react to environmental factors, however, has proved more difficult. Alongside the renewed interest in looking at life through a stimulus-response lens, the research and reviews of Nobel Prize-winning psychologist and economist Daniel Kahneman have provided evidence that our thinking becomes “lazy” when under mental pressure. Similarly, the psychologist Susan Fiske has written that we become “cognitive misers”: Fatigue, stress, hunger, and overwork make our brains switch from more time-consuming forms of rational thought to rapid, intuitive thought that is much more prone to error. Put simply, most of us do not have enough energy to focus on the constant stimuli of a fast-paced metropolitan lifestyle while also making slow, rational decisions about where to eat, what to watch, how to behave, and when to relax. If you have ever lost your temper when tired, put orange juice on your breakfast cereal, taken the wrong subway line, or suffered decision paralysis on Netflix, then you are familiar with the outcomes of an overtaxed brain. It is therefore little surprise that there’s a strong link between city dwelling and instances of poor mental health. Cities like Beijing and Shanghai arguably contain more low-level stress than most. The noise of our neighbors, the overcrowded subways, the lack of parking space, the competition for jobs — all of these drain our mental energy. Compared to other Asian cities with high degrees of livability — say, Tokyo, Seoul, or Singapore — major Chinese cities have higher levels of air, noise, and light pollution, as well as high traffic congestion. At the same time, they score lower on areas of green space, comfort, and public conveniences. 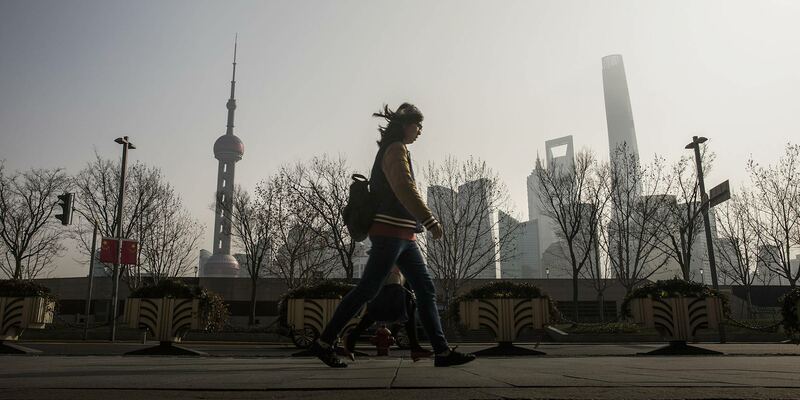 Although China’s Asian neighbors also suffer from long working hours, high rents, and stagnating wages, the urban environments of, say, Beijing and Shanghai arguably contain more low-level stress. The noise of our neighbors, the overcrowded subways, the lack of parking space, the competition for jobs — all of these drain our mental energy. And we are suffering the consequences of the instinctive, irrational thinking that results: We don’t watch where we’re going and walk into someone. We jostle aggressively for seats on the subway instead of calmly waiting our turn. We stare mindlessly at our phones while on the sidewalk. If we are, to some extent, at the mercy of our environment, we should be able to resolve our cognitive miserliness simply by changing our surroundings. By taking a different route to work, eating lunch in the park instead of at our desks, or getting out of the city once in a while, we force ourselves back into our own heads. We know that exposure to natural environments is beneficial to stress reduction, and urban planners have found that green spaces contribute to increased feelings of relaxation. 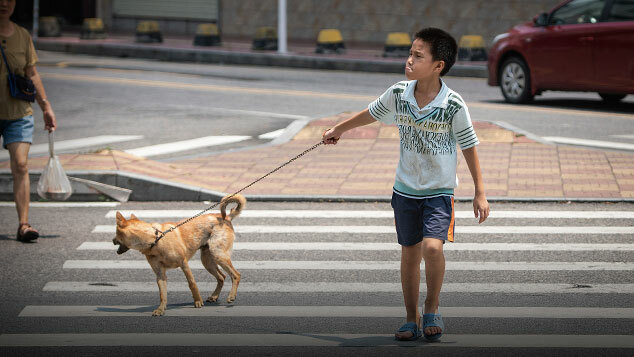 For 27-year-old Sun Wenting, moving away from the sleepy, 1 million-strong city of Jixi in northeastern China’s Heilongjiang province gave her the opportunity to escape her “overly safe and unfulfilling” daily routine. While studying for a degree in dance, Sun became disillusioned with the rigid schedules of Chinese college life. After she left university, her natural curiosity and creativity demanded more than the familiar route of marriage, children, and stable company jobs that most of her friends took. 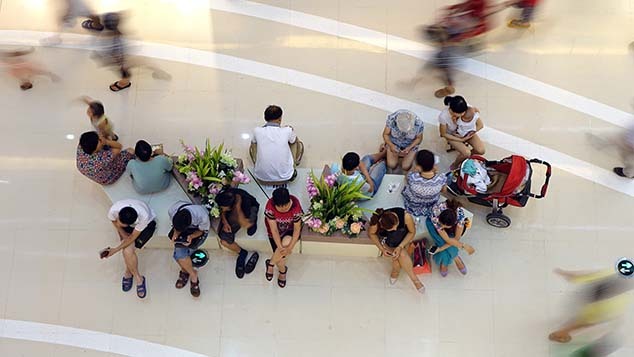 The consumer choices of millennials may prefigure a radical overhaul of China’s work culture. In Shanghai, Sun juggles a diverse work and social life that takes in video production, performance art, translation, dance, and yoga. Each occupies a slice of her time, but importantly, she decides how those slices are apportioned, allowing her to cut through many of the city’s environmental stressors and focus on a holistic range of stimuli. Sun is consciously reaching for the off switch in a permanently plugged-in city. But others, like 25-year-old Meng Lingquan, are looking to pull out the plug completely. Originally from the industrial hub of Shenyang in northeastern China’s Liaoning province, he studied in the U.K. before moving to Beijing in search of a solid career and vibrant lifestyle. On the day I interview him, he immediately announces that he quit his job at a well-known fashion house the day before. I ask him how he has adjusted to going from sleepy Yorkshire to China’s capital. “I’m not!” he jokes, adding that he had to sacrifice his work-life balance in order to stay in his chosen industry. “There’s this horrible culture of overtime: One person stays longer than they need to, and so others try to outdo them — and soon, everyone is in the office after 10 p.m., even if they are only scrolling through WeChat,” he explains, referring to China’s ubiquitous social media app. A dearth of free time has made it hard for Meng to escape Beijing’s relentless lifestyle. He says he can’t sign up for a yoga class because he never knows what time he’ll finish work; he can’t go on dates because he barely has the funds to cover daily living. I wonder if he feels the need for calm and ask if he finds breathing space at Beijing’s parks and lakes. “If I want to enjoy bad air, smelly water, and crowds, then sure!” he laughs. Meng ends by saying he hopes to return to Europe, where he enjoyed the connectedness of the major cities but also the ability to easily reach the countryside and spend a day walking around old castles on remote hilltops. A growing number of Chinese millennials want their work to help them fulfill their life aspirations, according to research by Goldman Sachs. Sun and Meng are two examples of young people who want their jobs to reward them in ways that go beyond just money, and who view their work and personal lives in harmony rather than in opposition. The consumer choices of this generation may prefigure a radical overhaul of China’s work culture. The country’s millennials are embracing habits familiar to their Western counterparts, such as coffee culture, foreign travel, and experience-based consumerism. When it comes to work, some choose to abandon careerism completely, while others seek to design their “bespoke” working lives. Regardless of how they achieve their aims, their motivations appear to stem from the same source: dissatisfaction with expected routines and social norms that encourage unhealthy behavior without letting them come up for air. Now, they are looking to stop, take a breath, and rethink how they live.